At Krave you can expect a new experience every single night. Tuesdays is Latin night and Wednesdays introduces the Krave Kegger with beer specials all night and DJ Morningstar spinning the hottest tunes. Thursdays welcomes hip hop night to Krave and Fridays is all about gothic and industrial music. Saturdays is the girl bar and Sundays pays homage to the industry workers with Service Industry night. - cover is $20; free for locals. -TUES: Toxic 2sday - OPEN BAR every Tuesday from 11pm-12am. Offering a nightclub, theater, and lounge Krave has a little bit of something for everyone. 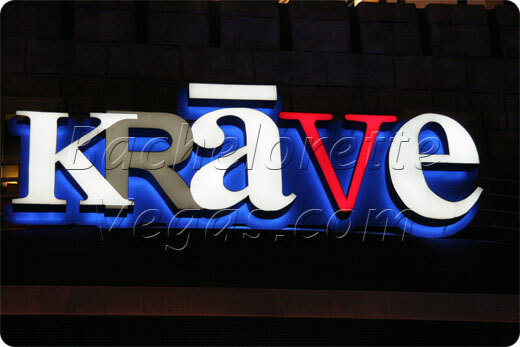 Krave can be found near the Miracle Mile Shops and Planet Hollywood. The GLBT crowd has dubbed this nightclub the one to go to as it has been said this is the one true alternative nightclub that is available on the Las Vegas Strip. 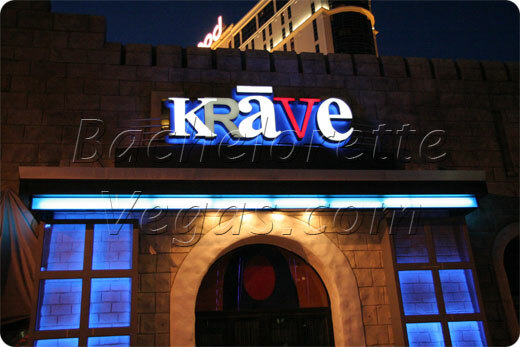 In fact, in 2005 Krave was labeled the Readers Choice for best Gay Club in Las Vegas. Both locals and tourists flock to Krave and fill it every single night. With the theme nights and tons of hot and hopping people you will be sure to have a memorable evening when you visit this Las Vegas hot spot. For reservation or VIP linepass to Krave Las Vegas, please contact us..